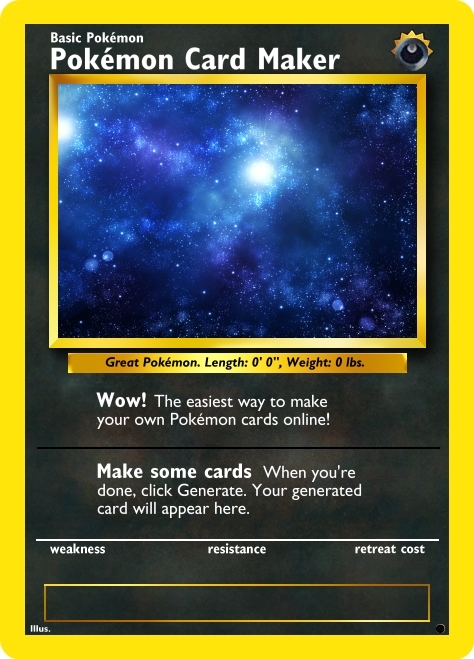 Pokemon Card Maker lets you make realistic looking Pokemon cards quickly and easily! Make Yu-Gi-Oh Cards! Make Magic Cards! Pokémon is a registered trademark of Nintendo, Creatures, Game Freak and The Pokémon Company. Pokémon Card Maker is not affiliated with, endorsed, sponsored, or specifically approved by Nintendo, Creatures, Game Freak or The Pokémon Company.